PallyCon Multi-DRM is the easiest way to enable content protection for your media service running on AWS. 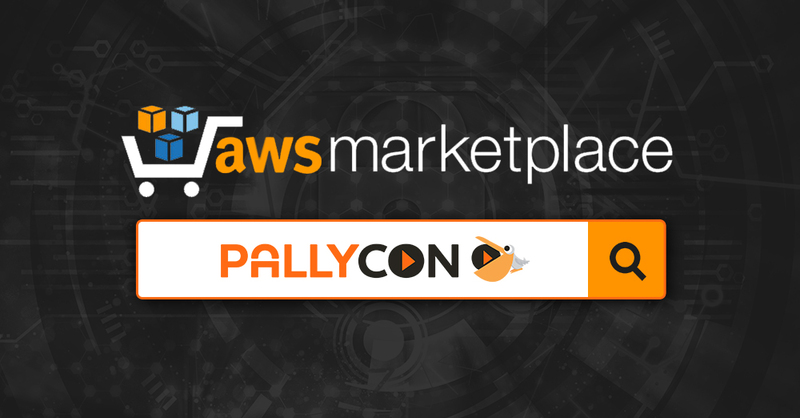 PallyCon Multi-DRM Cloud is a SaaS product which is listed on AWS Marketplace. PallyCon provides licensing services for PlayReady, Widevine, FairPlay Streaming and Netsync Content Guard (NCG) DRM to help you quickly and easily apply content security, a prerequisite to premium content services such as Hollywood movies. If your media service is running on AWS platform, you can have the benefits as below by subscribing PallyCon Multi-DRM Cloud on AWS Marketplace. PallyCon Multi-DRM Cloud is integrated with AWS Elemental Media Services via Secure Packager and Encoder Key Exchange (SPEKE) API specification in compliance with the Content Protection Information Exchange Format (CPIX) standard key exchange specification defined by the DASH Industry Forum (DASH-IF). Pay TV operators or OTT service providers can easily and quickly apply multi-DRM protection to live streams or VOD content generated by AWS Elemental MediaPackage or AWS Elemental MediaConvert with just a simple setup. PallyCon Multi-DRM Cloud has affordable pricing based on DRM license issuance count. Once you subscribe PallyCon Multi-DRM Cloud, AWS billing allows you to pay for a single consolidated invoice. If you are looking for a customized pricing plan, please contact us. PallyCon service also can be provided as a combined solution of PallyCon Multi-DRM and PallyCon Forensic Watermarking, which is essential for premium content protection. It enables a studio-grade content protection workflow from content ingestion to secured playback without the need of building on-premise servers. PallyCon Forensic Watermarking can be signed up on our website separately, and it will be listed on AWS Marketplace as well soon. INKA Entworks is a technology partner of AWS Partner Network (APN) and AWS Elemental. INKA Entworks and AWS are working together to help our customers build AWS-based media services successfully.